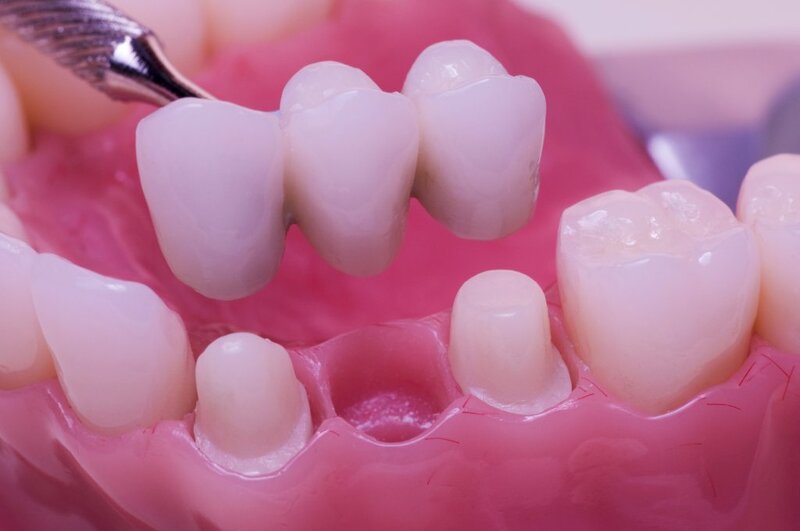 A dental bridge is usually a combination of at least two dental crowns placed upon teeth that are on either side of a gap, – and a false tooth in between. Natural teeth, dental implants, or a combination of natural teeth and dental implants can be used to support a bridge. Contact our office for more information about dental bridge or click here to schedule an appointment.